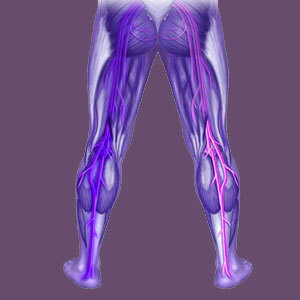 Dr. Sarno and piriformis syndrome are related topics of study, since many cases of piriformis pain qualify to be called tension myositis syndrome. Dr. John E. Sarno mentions piriformis syndrome in his book The Mindbody Prescription and summarizes it as a fading fad without diagnostic merit. He proposes that most cases are instead misdiagnosed versions of TMS. Dr. Sarno is a very divisive figure in medical literature. To some, he is a hero, while to others he is an outcast. We have been reporting on the career of the great Dr. Sarno for a very long time and are proud to be the most informed source of tension myositis syndrome information on the web today. That being said, we tend to disagree with Sarno almost as much as we agree with his teachings. Therefore, this essay will present both the positive and negative contributions of Dr. John Sarno to the piriformis treatment sector. This treatise examines the work of Dr. Sarno in respect to various piriformis pain conditions. We will investigate TMS theory and see where it fits into today’s modern medical view of piriformis syndrome. Dr. John Sarno was a physical medicine and rehabilitation specialist who practiced for a very long time at The Risk Institute of Rehabilitation Medicine in New York City. He became particularly interested in back pain, being that many of his patients did not recover, despite clinical predictions and anatomical evidence disposing them towards the resolution of pain. He began to focus more and more on the treatment of dorsalgia and became known as the “go-to” doctor in New York for all matters related to chronic back pain over the course of decades of work. However, these notable accomplishments are not what separate Dr. Sarno from other successful physicians. Instead, it was the nature of his work on the subject of back pain that was revolutionary and game changing in many ways. To quickly summarize, Dr. Sarno believed that virtually all back pain (and later on, virtually all chronic pain and many other health issues) are psychogenic, being formed in the mind, but expressed in the body as defense mechanisms. The goal of these defenses is to maintain anonymity of repressed and suppressed subconscious sensitivities, such as thoughts, feelings, memories and ideas that would be unacceptable if they gained conscious recognition. Therefore, the body creates physical pain through nonpathological processes to occupy the resources of the consciousness and prevent this psychoemotional baggage from ever being discovered. In essence, Sarno believed that the vast array of structural conditions formerly blamed for creating back pain are incorrect and incidental to pain. He backed up his ideas with solid evidence-based proof gathered over decades of clinical experience, as well as from respected research studies performed worldwide and published in the leading medical journals of the modern age. Although Sarno’s ideas might be alternative, his approach to care was very methodical, using psychological techniques that are directed at the root cause of pain inside the mind, instead of within the body. John Sarno speculated that the piriformis syndrome diagnosis is invalid and does not even exist. He basically describes it as an alternative explanation for buttocks pain and dismisses it as coming from some other source in his experience. Most cases seem to embody TMS, the condition named and treated by Sarno for most of his medical career. This is a major point where we disagree with Sarno, since we have seen definitive evidence of anatomical causation in some patients due to both structural and functional issues. We agree that many cases of piriformis pain are psychogenic or influenced by the psychosomatic process, but will not say that every case falls into this category by any means. Sarno believed that cases of piriformis syndrome are merely defenses enacted by the mind to protect itself against psychoemotional issues that seek conscious recognition. The pain is engineered within the substance of the mind and is often targeted to an area where some structural abnormality might exist. We see this often in the increased incidence of piriformis syndrome in people who demonstrate atypical anatomies where the sciatic nerve travels through or around the piriformis muscle, rather than beneath it. The mind knows that the atypical structure will provide plausibility for the condition from a structural viewpoint, reducing the chances of it being dismissed as a psychosomatic expression. Dr. Sarno does not provide any exceptions to this rule of belief in his literary offerings, leading his readers to believe that he unequivocally denies piriformis syndrome as a valid diagnosis without structural merit. We feel this is a major failing on his part, but this attitude tends to be reflected in most of his dismissals of structural causation theories. All in all, we believe Sarno classifies too many pain profiles as TMS, when some patients actually do demonstrate structural merit to their diagnosis. This is just our opinion, however, and is subject to debate. Since Sarno believed piriformis pain to be just another expression of tension myositis syndrome, he treated it accordingly and universally. Patients were instructed as to why they have pain and are immersed in an educational program known as knowledge therapy. Furthermore, patients were told that any structural abnormality visualized on imaging studies is not problematic, nor the source of any pain. In essence, the irregularity is innocent and coincidental. Patients were not typically provided with any physical treatment at all, including exercise, stretches or even drugs, since Sarno told them that there is nothing in the body that requires therapeutic intervention. Instead, therapy focused on the mind and really honed in on discovering the reasons in each personality why the subconscious would choose to cause pain physically, rather than experience emotional sensitivity. Over many years of work, many patterns emerged in Sarno’s discoveries, leading him to continually refine his therapeutic approach until the results seemed almost impossibly effective. Cure rates for TMS patients reach well into the 90 percentile, although we do feel that Sarno’s statistics are a bit high in terms of long-term resolution of pain. However, his curative statistics are still light years ahead of any traditional medical therapy, making TMS theory just as appealing as an explanation for piriformis pain now as it ever was, even when Sarno was in active practice. The Cure Back Pain Network remains the preeminent source of all things tension myositis related. We are proud to offer many writings on the subject for interested patients who want to learn more. Simply use our search feature to query Dr. Sarno or TMS and enjoy the full catalog of our writings across all of our many web properties. We must disclose that we are avid supporters of Dr. John Sarno, but do not follow his teachings blindly and without question. Instead, we tend to integrate his teachings into the overall patient population and find his theories valid to explain many cases of chronic pain, but not all.